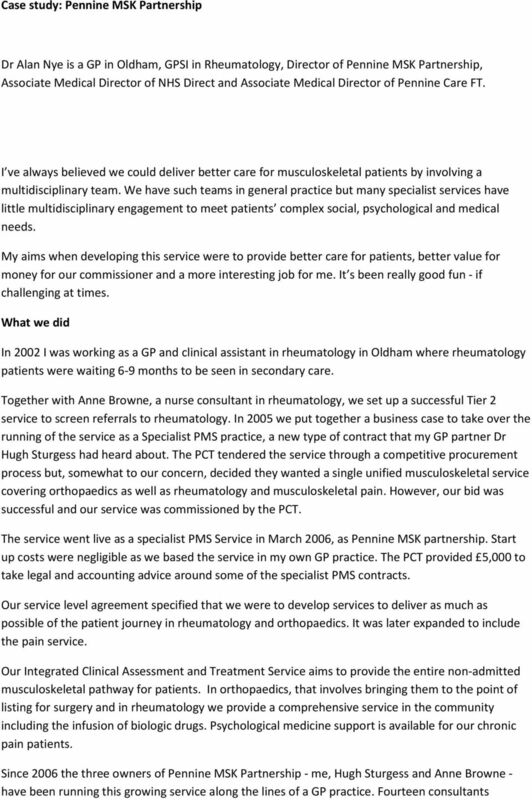 Download "Case study: Pennine MSK Partnership"
We aim to improve, and make more reliable, patient pathways and services as proposed in the Scottish Service Model for Chronic Pain. I write in response to your request for information in relation to money spent on weight management services in NHS Lothian. WHAT DOES THE PSYCHOLOGICAL THERAPIES HEAT TARGET MEAN TO YOU? 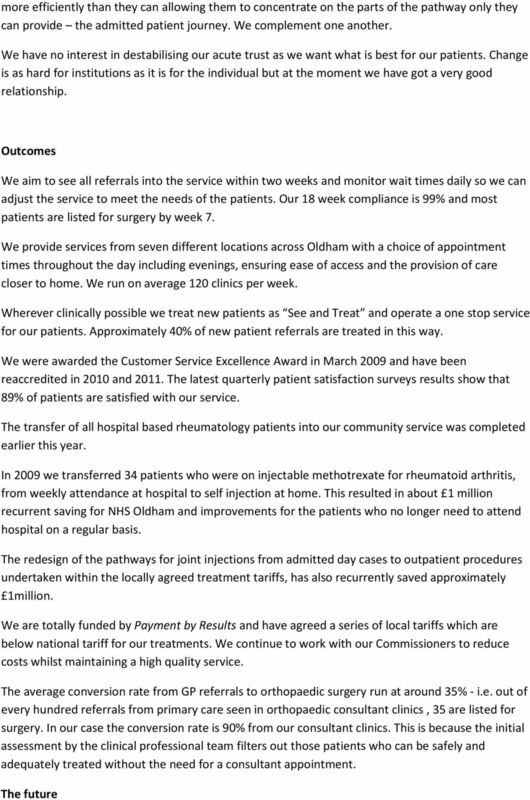 Diabetes Specialist Nursing (DSN) Service South Gloucestershire Introduction This document introduces Sirona care & health s plan to deliver a Diabetes Specialist Nursing (DSN) Service in South Gloucestershire. The practice of medicine comprises prevention, diagnosis and treatment of disease. 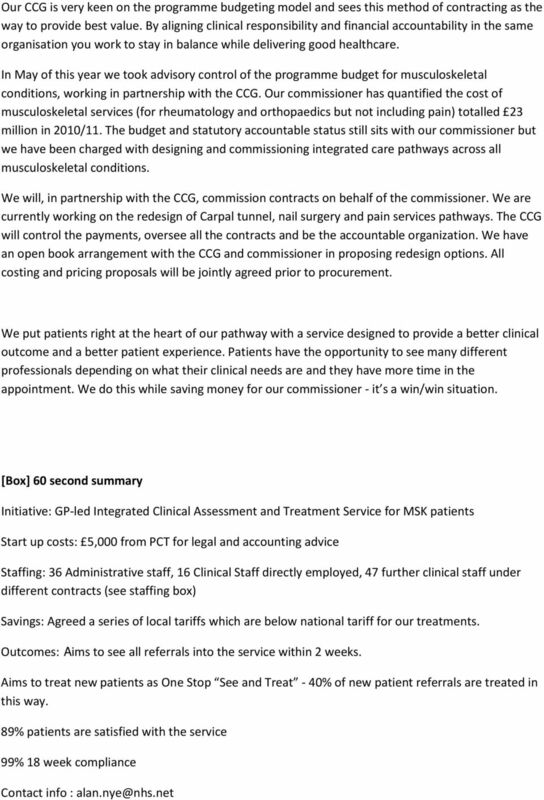 Agenda Item: 2.12 Primary Care & Provider Services Directorate Business Plan April 2009 March 2010 Primary Care & Provider Services Business Plan 2009/10: Formal Board 9 June 2009 1/16 CONTENTS Page No. CSH Surrey. Why they developed? 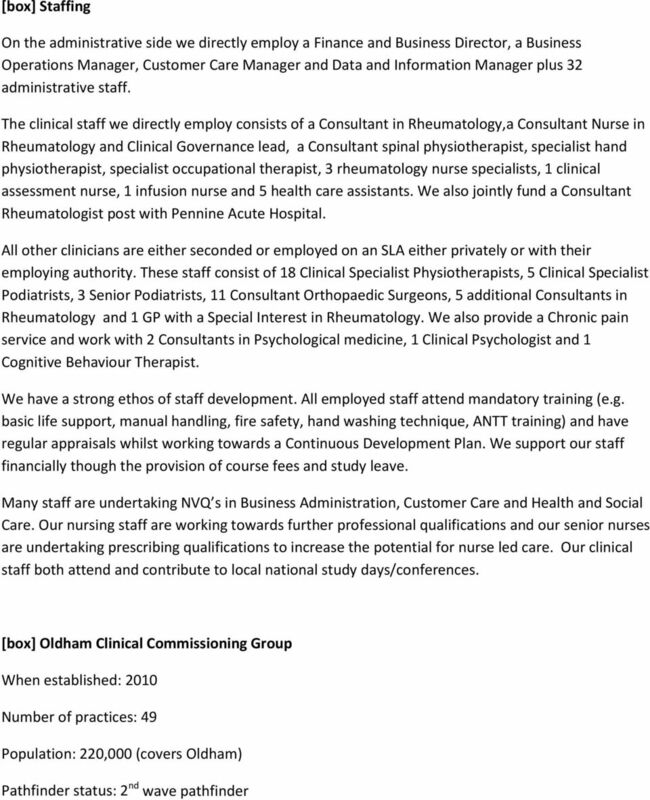 Nursing and Midwifery Office, Queensland Strengthening health services through optimising nursing Registered Nurse professional practice in Queensland Guidance for practitioners, employers and consumers. JOB DESCRIPTION. The Richmond Community Rehabilitation Service sits at the heart of integrated health and social care in Richmond. 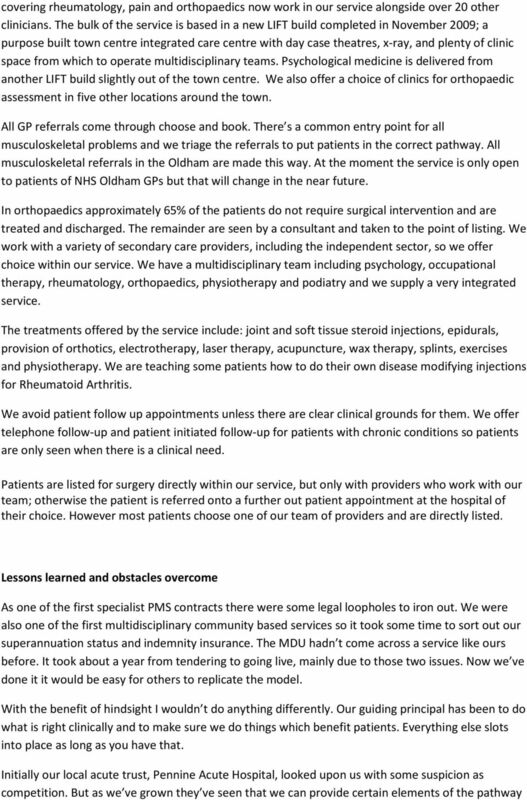 The Musculoskeletal Services Framework. A joint responsibility: doing it differently. Contents. DH Information reader box.